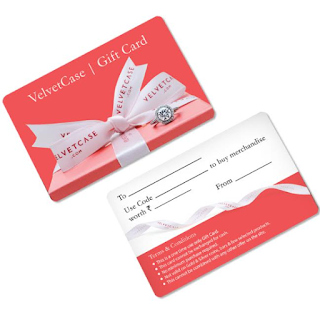 Velvetcase.com, India’s multi-brand jewellery destination, introduces valuable gift cards to celebrate the season of love. One can choose denominations from INR 1000 to INR 10,000 for the gift card further making their partner choose the best piece from 1 lac+ designs across 300+ top brands & designers by visiting Velvetcase.com. This ‘one time use only gift card’ cannot be exchanged for cash and is valid for 6 months from the month of purchase.